No sooner had Pope Benedict announced his planned abdication of St. Peter’s chair when the attacks on him began to appear. 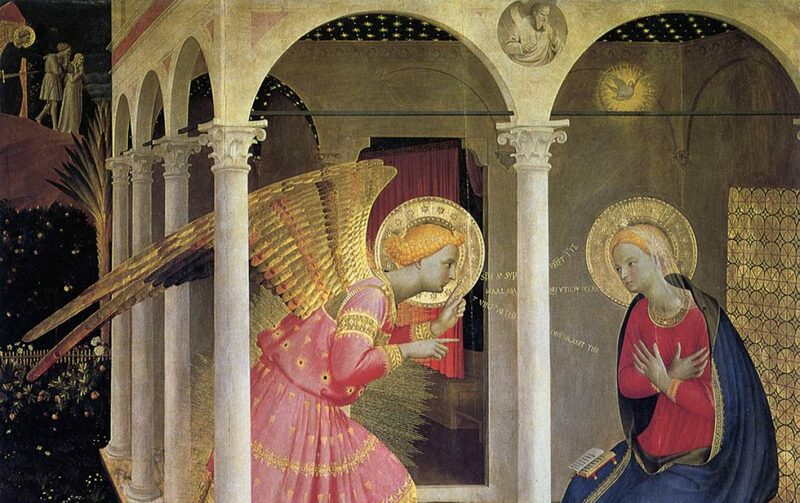 I am posting on this story because the Fra Angelico Institute for the Sacred Arts is primarily concerned with evangelization of the Catholic faith through the prayerful study and creation of the sacred arts. Be that as it may, when a vicious and false attack occurs on the Church or a member of the clergy it is incumbent upon us as Catholics to respond with courage and the truth. The Catholic League for Religious and Civil Rights, based in New York, and headed by Bill Donohue, Ph.D is in the forefront of presenting the truth when the Church is attacked. It deserves our support and prayers. The following re-post which concerns an attack on Pope Benedict 16th (found below after my comments) is from their website http://www.catholicleague.org/. Bill Donohue wrote the post which tells the truth about the Pope’s actions and it deserves to be read by every Catholic. We cannot sit idly by while the Church is being attacked. If you read this blog then you are interested in sacred beauty and the truth, goodness, and beauty of God that the Church has faithfully taught for two thousand years. Yet, it is very easy to get lost in beauty. We must support the arts, but we must not retreat into them. Saying, “Well, there is nothing I can do about it.” Wrong. There is something you can do about it. There are two ways to support the Church in this effort: first through your prayers for those who are in the front-lines fighting on behalf of the Church, and second, through your actual involvement by defending the Church when you see or hear it attacked. We are in a very dynamic spiritual war. We cannot sit on the side-lines. The Lord Himself said that we need to choose – one side or the other – but don’t be neutral. He was very specific about the truth that He is sickened by neutrality (confer Revelation 3: 13 – 22; Romans 16: 17-18). The re-post of Bill Donohue’s article concerns a now dead atheist British journalist named Christopher Hitchens (1949-2011) who loved to attack the Church and any public figures who he believed were wrong or, in his opinion, frauds (from Mother Teresa, to Winston Churchill, to Princess Diana). The article that Bill Donohue wrote and published this morning relates some of the lies that Hitchens told concerning Pope Benedict 16th. These lies have been picked up and resold as the truth by another journalist by the name of Andrew Sullivan. I have posted this article by Donohue so you can be armed with the truth. We must unite as a force for truth-filled evangelization and arm ourselves with the facts. Donohue’s article contains the facts – arm yourself with them and use the grace you received at your Confirmation to patiently, but firmly, inform those that malign our Catholic faith, the papacy, and Benedict in particular, with the truth. Hitchens has been brought back from the dead by Slate and Andrew Sullivan, but it won’t do them any good. Yesterday, they republished a hit piece by the atheist from 2010 that was vintage Hitchens: the man was a great polemicist but a third-class scholar. Facts never mattered to him. Hitchens said the scandal “has only just begun.” Wrong. It began in the mid-60s and ended in the mid-80s. Current reports are almost all about old cases. Hitchens said Munich Archbishop Joseph Ratzinger (the pope) transferred an offending cleric to another parish. Wrong. Ratzinger’s deputy placed the priest in a new parish after he received therapy (the tonic loved by those pushing rehabilitation), and even the New York Times admitted there was no evidence that Ratzinger knew about it. By the way, there were 1,717 priests serving under him at the time. Hitchens said Ratzinger wrote a 2001 letter to the bishops telling them it was a crime to report sexual abuse. Wrong. The letter dealt with desecrating the Eucharist, and the sexual solicitation by a priest in the confessional (the letter cited a 1962 document detailing harsh sanctions). Hitchens said Ratzinger was obstructing justice when he crafted new norms on sexual abuse in 2001. Wrong. He actually added new sanctions and extended the statute of limitations for such offenses. Hitchens says Ratzinger ignored accusations against Father Marcial Maciel. Wrong. It was Benedict who got him removed from ministry (he was too infirm to put on trial) and put his religious order in receivership.